Welcome to Nowy Sącz, Poland! Join our “Nowy Sącz Group” now about 240 strong! A wonderful place to ask questions! Video Tour(2005) ~ Jewish Cemetery of Nowy Sącz! Description: On September 12, 2005, Mr. Bernard Schwerd together with his son,Yecheal (Neil) Schwerd and nephew, Moshe(Michael)Schwerd visited the Jewish cemetery in Sanz,(Nowy Sanz)Poland, resting place of the holy Divrei Chaim (R'Chaim Halberstam and his family). The trip was part of a tour through various towns in Galicia (Poland). At the cemetery gate they were greeted by Mr. Jakub Müller (Yaakov Miller)*, a Holocaust survivor who resided in Sweden. Wspomnienia ostatniego sądeckiego Żyda Jakuba Muellera (zmarł w 2010r w Malmo). Jako jedyny z licznej rodziny uchronił się przed śmiercią w obozie koncentracyjnym w Bełżcu. Po wydarzeniach Marca 1968 roku, kiedy nasiliła się inspirowana przez władze komunistyczne kampania antysemicka, wyjechał do Szwecji i tam zamieszkał na stałe. Jakub Mueller był nazywany przez sądeczan strażnikiem cmentarza żydowskiego. Przez ponad 20 lat opiekował się tym miejscem. *Memories of the last Sącz Jew Jakub Müller (he died in 2010 in Malmo). The only member of a large family saved from death in the concentration camp at Belzec. After the events of March 1968, when intensified by the communist-inspired anti-Semitic campaign, he went to Sweden and settled there permanently. 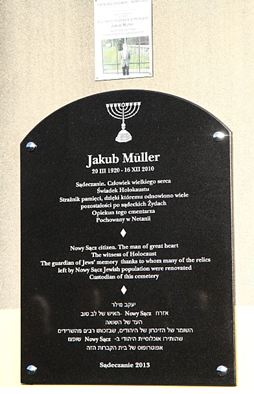 Jakub Müller was called by Sądeczan guardian of the Jewish cemetery. For over 20 years he took care of the place. 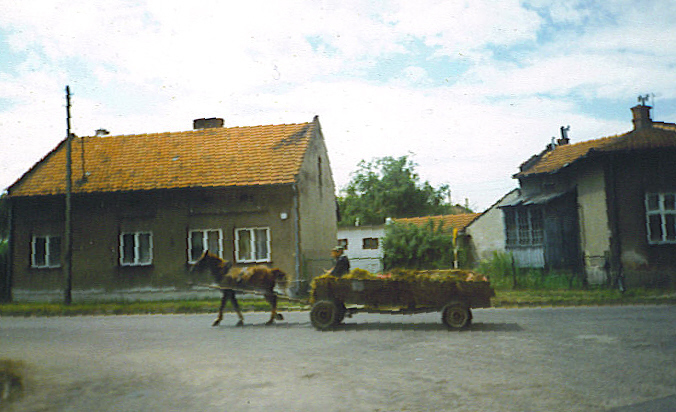 Source: Debbie Raff, while on a bus passing through Nowy Sacz in the summer of 1998. I never had the opportunity to see the town. 201 names/occupations of Nowy Sącz residents!! 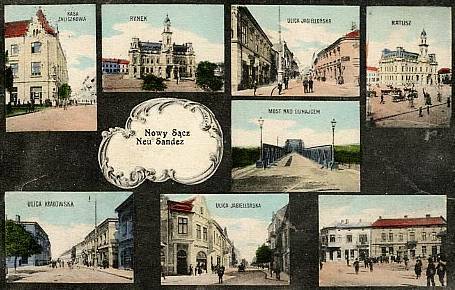 · JRI – Poland -- a searchable database of over 5 million 19th century Jewish vital records from more than 550 Polish towns! preserving our history for future generations, your JewishGen-erosity is greatly appreciated.